This year has been especially miraculous because I have been actively choosing to be happy. I invited joy to find me in unexpected ways, and after I read a book called Money: A Love Story, a really magical thing happened. I had been keeping close tabs on my bank account because I was worried how little there was in it. The book said that if I’m open to it, money can come to me in ways I never expected. I said inside my head, “Okay, Universe you know how to do it, and I’m going to get out of the way.” On January third, I saw $100 added to my account. I called my bank certain that there must have been an accounting error. The operator assured me that it wasn’t an accounting error and that the person who added the money to my account wanted to remain anonymous. I have never been so blown away until another $100 was added to my account the following month. I still don’t know who my benefactor is, but I wanted to let them know that their generosity ignited the giver in me, and that gift is one I treasure daily. The beginning of the New Year seemed dim, unsure, and frankly, terrifying. I was barely making enough money to cover my expenses and wondered sometimes if I would be able to buy both groceries and keep my electricity on. When the extra money showed up in my account, I was floored and incredibly relieved. It gave me the breathing room I needed to make it to the next month. Credit: Stefan DavisIt was like lightning struck twice when I saw my account increased by one hundred dollars in February. This time I decided to share a small portion of my new abundance with someone else. A comedian friend of mine was snowed in his hotel and was missing his scheduled shows and therefore, money from his livelihood. He offered to draw a picture for anyone who would send money to his PayPal account. I sent him a donation and the picture you see in this section is what I received in return. However, the feeling of wanting to give began to grow. I wasn’t expecting another monetary gift in March, but sure as shooting it was there. It was a wonderful surprise which gave me the confidence to buy a new outfit for the interview I had later in the month. I did get the job and because of the extra money, I started going to nearby comedy shows. So my benefactor allowed me to have the pleasure of laughter and the delight of supporting local artists. Credit: deposit photoMoney was still tight because my new job was only part time, so the increase in my account was very welcome. I used the bonus to pay for my Pharmacy Technician National Certification test. I studied hard and passed the test with a score of 460 out of a possible 500. This test marked the beginning of a new job search and a burst of gratitude to my unknown benefactor. My job search continued in May, and I used the used the magic money that appeared in my account to keep my head above water and food in my belly. I still felt the desire to give back in a way that didn’t include money. My sister posted a call for volunteers to plant flowers at Esther Short Park. I jumped at the opportunity and had a wonderful time while being a good steward of the magic money. Credit: deposit photoLaughter is one of my favorite sounds and in June, I decided it was time to upgrade my flip phone to a smart phone so I could use it to help me in my goal of performing comedy. The gift money showed up and with only a little hesitation, I used it to upgrade my phone. It was a wonderful use of the gift money which continues to make my life joyously connected. I worried more about money this month than I had in all the months past. 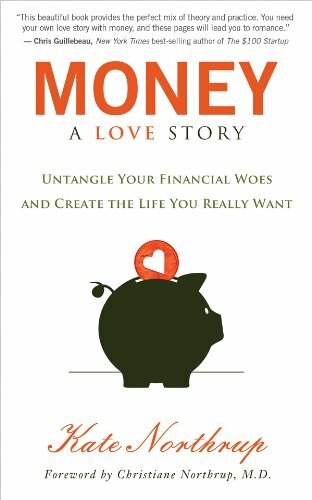 When the money showed up in my account, I was relieved, but worried that I still wasn’t going to make it financially. My credit card was close to being maxed out, and it looked like the business I worked for was going to be closed by the end of the year. I let myself get all worked up and panicked until I remembered that I was getting in my way again and focusing all my energy on what I didn’t want. I had seven months of proof that things can come to me in mysterious ways, and so I let go of my fear and mentally allowed things to work out without my interference. Credit: selfI decided that if I wanted to feel better about money, I needed to share my good fortune. My credit union is always participating in a community building project and the August theme was “Stuff the Bus.” My mom and I took part and bought school supplies to be donated to local schools. It felt great to use the money in a way that benefited someone who could not pay me back much like my unknown sponsor. Like clockwork, my account balance grew by the customary number. I determined this month to begin Christmas shopping, but instead of giving the typical gift, I wanted to donate to a charity in a way that would represent the person to whom I wanted to give a gift. It was a little nerve wracking because I wasn’t sure how I would be able to donate and still pay my bills, but as soon as I started I knew it was the right thing to do. My account grew by one hundred dollars, and then I was interviewed for a full time pharmacy position. Credit: SelfMy first day at my new full time job coincided with the day another gift of magic money was added to my account. I have to admit I kind of expected the money to come, but I still used it in a way that I think was representative of my gratitude for it. I had my annual Halloween family party and used part of the money to get favors for the ‘trick or treating’ bags. It was fun to know that I had a cushion of money to play with. This month was the first in a long time that I didn’t have to count on the magic money coming in. My full time job easily paid all my bills and let me have a little extra to save. The money still came, and so I decided to use it in a fun way. One Sunday morning my mother and I went on a 'random act of kindness’ tour. I put five dollars four mini stockings, and we left them in four different places in the city for people to find. Then I purchased two coffee drinks from Dutch Bros to give to two random people. It was a delight to see the unexpected treat light up the life among the people we selected. Credit: selfWith pleasure I saw the hundred dollars added to my account for what I feel is the last time. I gleefully used the money to finish donating to charities for Christmas gifts. It was a thrill to get presents for my credit unions giving tree, leave a big tip for a server, buy yarn to make hats to donate, and so much more! This year has been amazing because someone I will never know decided to make my life easier. I have tried to emulate this kindness by paying the money gift forward. Whoever you are, mysterious giver, this is an accounting for how I used your gift this year. I hope you find my actions appropriate and the immense gratitude I have for your gift. I will never be the same.